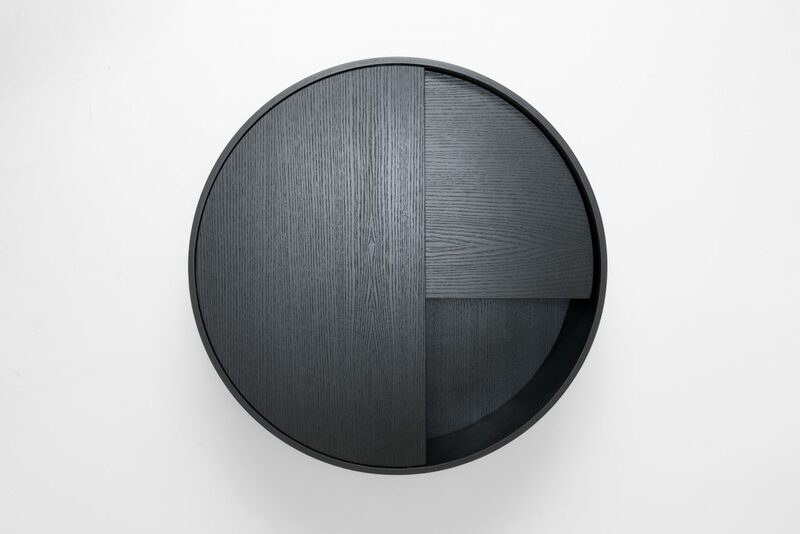 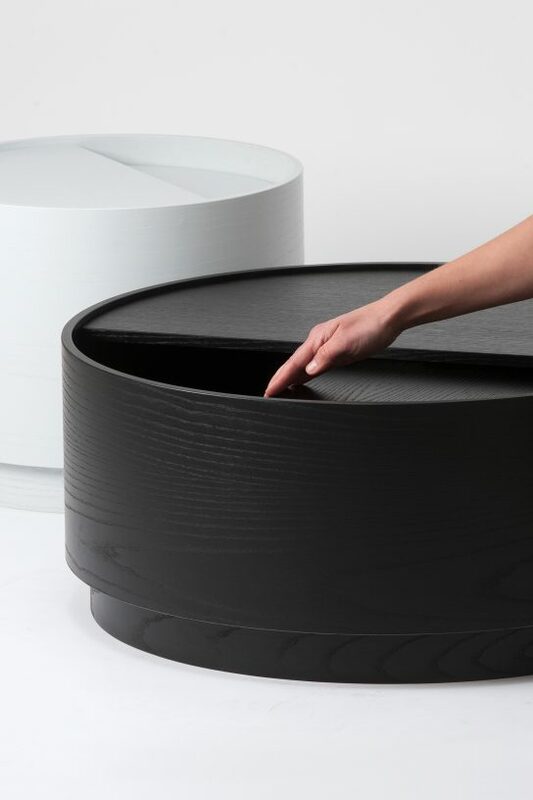 Karou is a table that offers additional storage space. 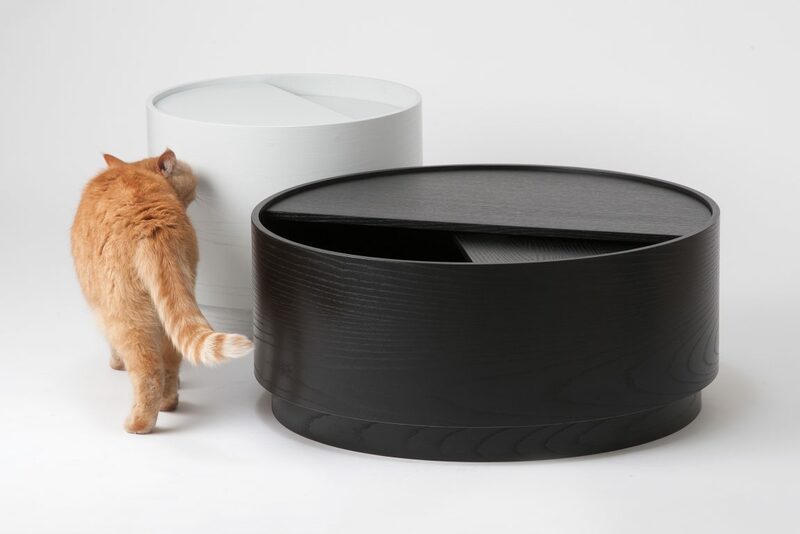 The principle of the rotating lid consists of a fixed and a rotating tabletop. 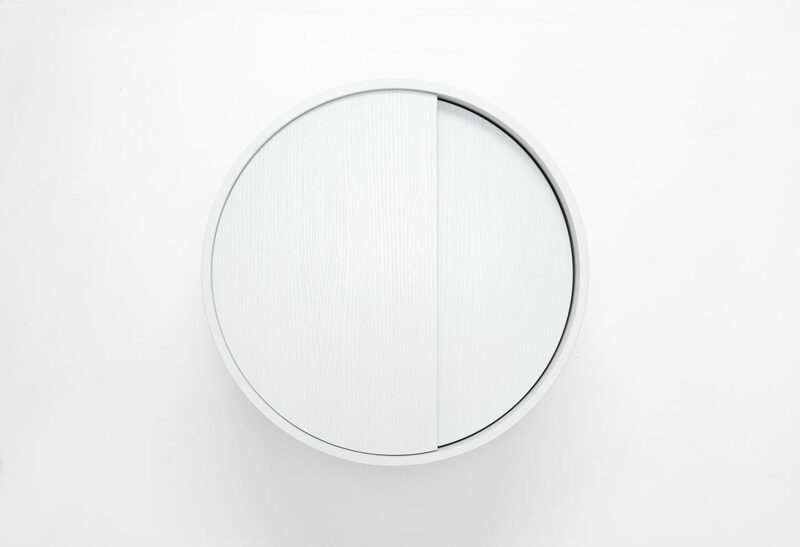 The panels slide over each other thanks to an invisible revolving fitting, enabling users to choose to have the table either open or closed. 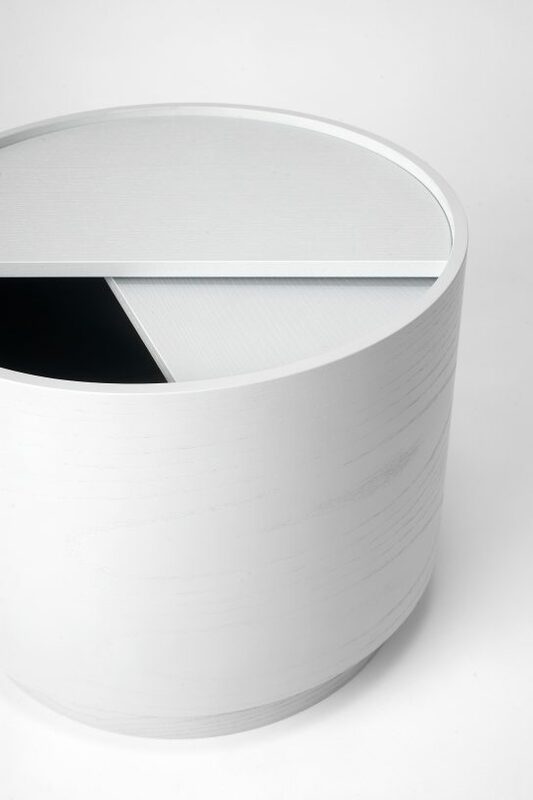 The upper section of the tabletop is fixed to the table so that objects can be placed on it safely and practically. 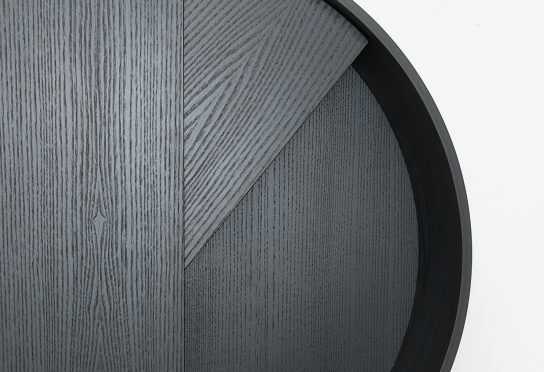 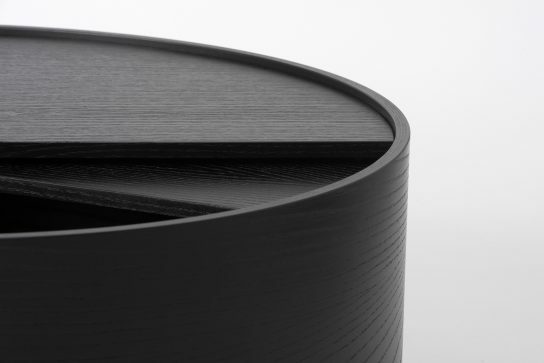 The pronounced grain of the ash wood is still visible under the black and light grey painted surface and changes depending on the panel’s position.